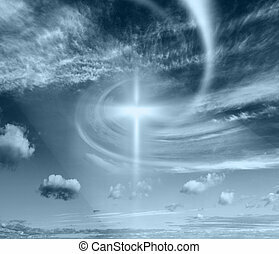 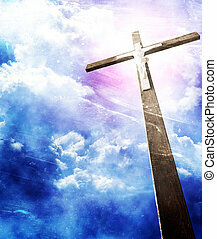 Christian cross against the sky in a blaze of glory. 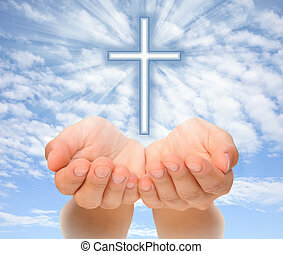 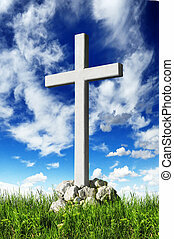 religious symbol of christianity. 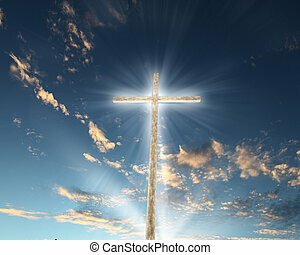 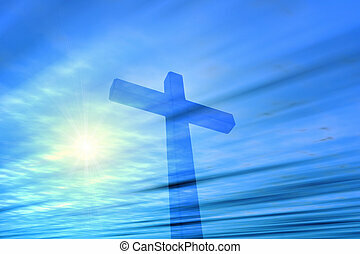 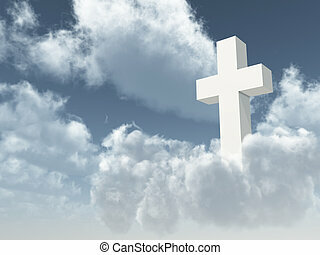 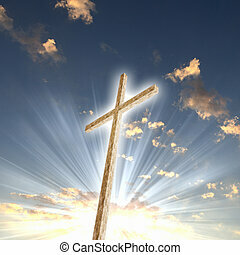 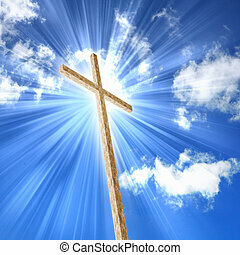 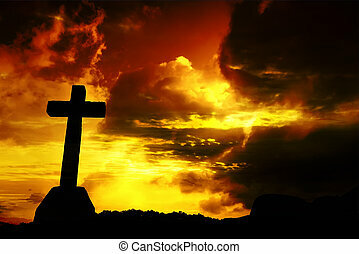 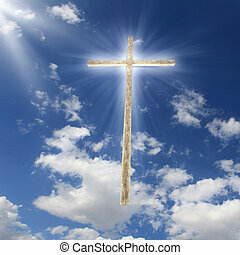 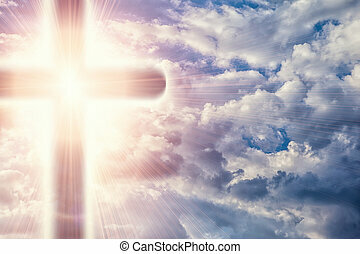 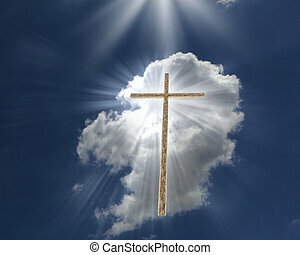 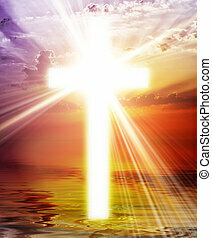 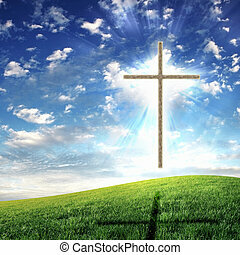 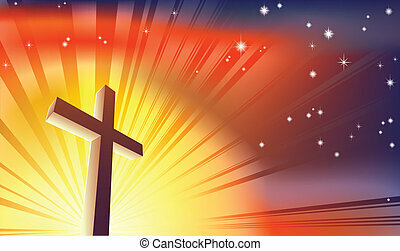 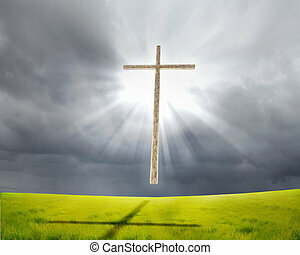 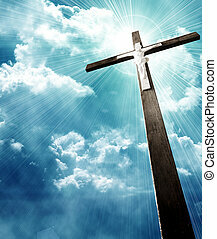 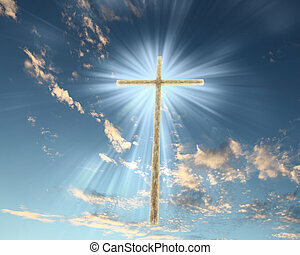 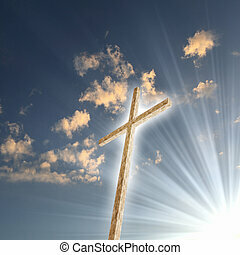 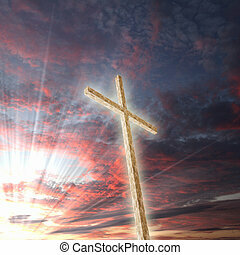 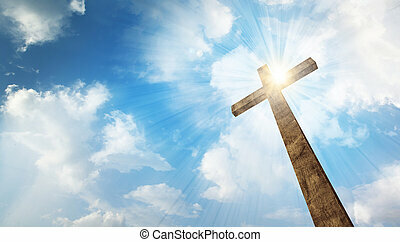 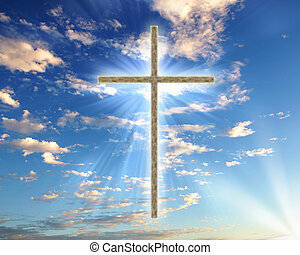 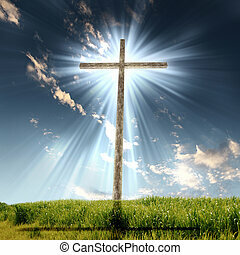 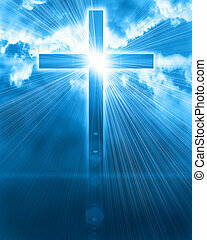 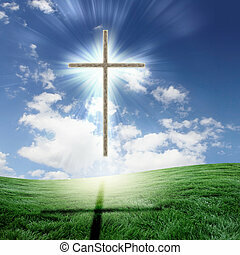 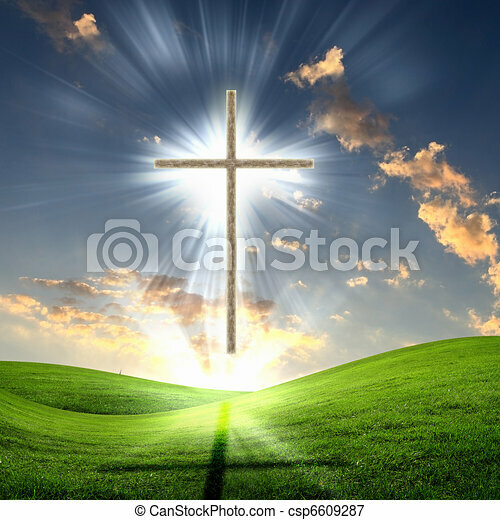 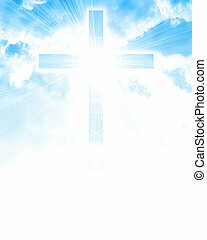 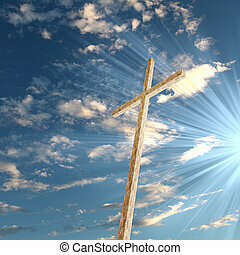 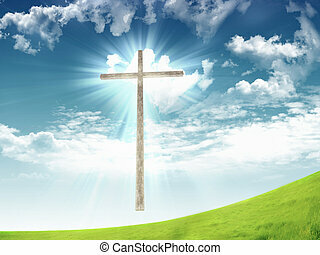 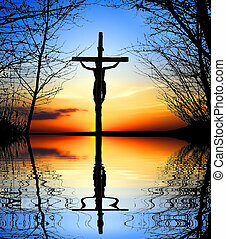 A wooden Christian cross with bright sun and clouds.